In the following year, he wrote and published the Agricola and Germania, foreshadowing the literary endeavors that would occupy him until his death. Afterwards, he absented himself from public life, but returned during Trajan's reign (98–117). In 100, he and his friend Pliny the Younger prosecuted Marius Priscus [la] (proconsul of Africa) for corruption. Priscus was found guilty and sent into exile; Pliny wrote a few days later that Tacitus had spoken "with all the majesty which characterizes his usual style of oratory". 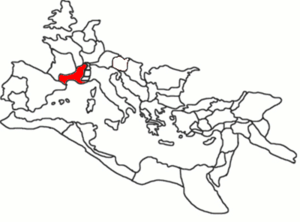 Tacitus makes use of the official sources of the Roman state: the acta senatus (the minutes of the sessions of the Senate) and the acta diurna populi Romani (a collection of the acts of the government and news of the court and capital). 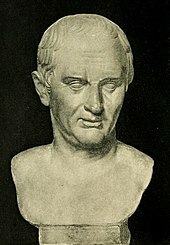 He also read collections of emperors' speeches, such as those of Tiberius and Claudius. He is generally seen[by whom?] as a scrupulous historian who paid careful attention to his sources. The minor inaccuracies in the Annals may be due to Tacitus dying before he had finished (and therefore before he had proof-read) his work.